Born in Birmingham, England in 1963. 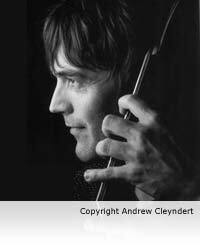 Andrew took up the double bass at school and turned professional on leaving in 1981. His first professional experience was as resident bassist at the George Chisolm Club in Manchester where he backed visiting Jazz soloists including Americans such as Art Farmer and Joe Newman. On moving to London in 1982 Andrew quickly established himself as a highly versatile player capable of working in a wide variety of situations. Early tours included working with bands led by saxophonists Bobby Wellins, Don Weller and Bobby Watson, and trumpeters Ted Curson and Red Rodney. 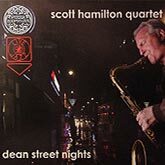 He also began working with a string of visiting soloists including Bud Shank, George Coleman, Ray Bryant, John Hicks and Lee Konitz to name but a few as well as working with the cream of London based musicians including broadcasting with the Kenny Wheeler Big Band. Taking a couple of years out to complete a degree in Maths and Psychology Andrew returned to the jazz scene to become a member of the Ronnie Scott Sextet and Quartet with which he has toured the Caribbean, The Middle East and Europe as well as working at Ronnie Scotts Club in London itself. The last few years has seen Andrew join the bands of the highly respected Stan Tracey with whom he has already toured Canada and China as well as performing as part of the hand over celebrations in Hong Kong. Andrew has also toured Britain and Europe with the Gene Harris Quartet and worked regularly with the singer Annie Ross. He is also a member of the Bryan Spring Trio, Alan Barnes Quartet and the Don Weller Quartet, and has also worked and recorded with Stacey Kent. 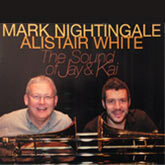 He has been nominated for the British Jazz Awards every year since they started. Other tours include working with American piano players Benny Green, Junior Mance and most recently James Williams with drumming legend Ed Thigpen, New York saxophonist Jon Gordon, trumpeter Conte Candoli, and guitarists Herb Ellis and Mundel Lowe. Andrew has started his own record label Trio Records (www.triorecords.co.uk) releasing twenty two albums by artists such as Stan Tracey, Junior Mance, Bobby Wellins, Martin Drew, Peter King, Don Weller and Colin Purbrook amongst others.